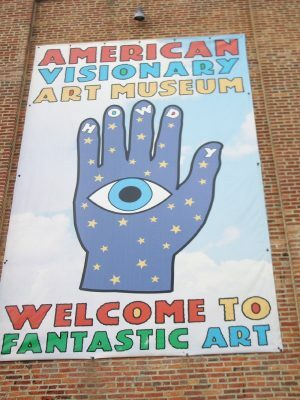 Last week I asked: Where is the American Visionary Museum? I know there are people who hate going to museums, especially art museums. But, I challenge them to check out the American Visionary Museum. It is so unique that I think they will be fascinated. At the American Visionary Art Museum original works of art created by intuitive, self-taught artists provoke, amuse, intrigue and appeal to everyone. They offer a free guided tour on Saturdays. Baltimore may not seem like a vacation destination to many, but it is. 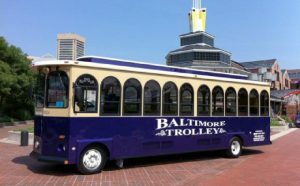 A good way to get acquainted is on the Baltimore Sightseeing Trolley Tours, which offers a unique blend of Baltimore history, culture, folklore and trivia. 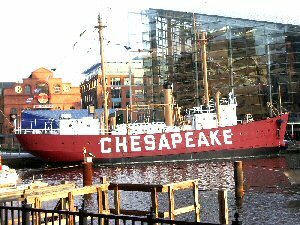 Baltimore is another waterfront city that has undergoing a renaissance. Waterfronts, especially ports, used to be the slummiest part of a city but things have changed. 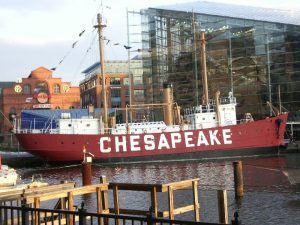 Walk along Baltimore’s Waterfront Promenade, a brick-and-board pathway meandering some seven miles past boat slips, al fresco eateries, historic sights, and parkland. If you get tired, you can hop aboard a water taxi and ride back. 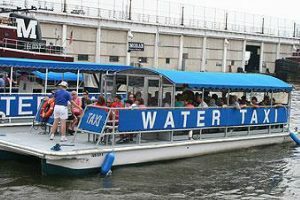 Ed Kane’s Water Taxi is the best way to get around the Inner Harbor and with your ticket you get a Letter of Marque. During the War of 1812, a ship owner’s most prized document was a Letter of Marque, authorizing the ship to legally raid British commerce. Today’s Letter of Marque offers discounts at pubs, restaurants, shops, and attractions in the Inner Harbor area. For a bird’s eye view of the area go to the top of Baltimore’s World Trade Center, the world’s tallest pentagon building. You can see the entire Baltimore Inner Harbor “at your feet” below, historic Federal Hill Park to the south, and the World Port of Baltimore’s “outer harbor” to the southeast. 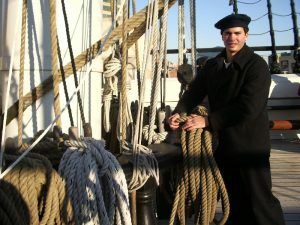 “Man the Mizzens” on the USS Constellation, where for a few minutes you are a member of the crew. The Constellation, commissioned in 1855, was the last all-sail ship built by the United States Navy. It offers a firsthand look at what the sailors’ life was like a hundred years ago. 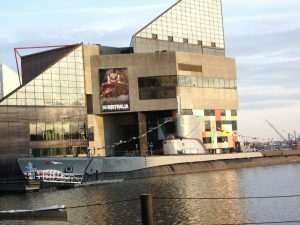 See the sea at Baltimore’s National Aquarium. Dive in for an unforgettable journey under the sea. Check out their Australia Wild Extreme exhibit. 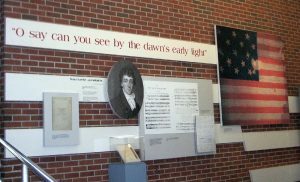 Not to miss is Fort McHenry National Monument and Historic Shrine. An informational video about the fort’s history ends with a rousing rendition of the song by the Annapolis Naval Academy Choir. For a little quite time head to the Westminster Presbyterian Church Cemetery and curl up with “The Raven” next to Edgar Allan Poe’s grave. 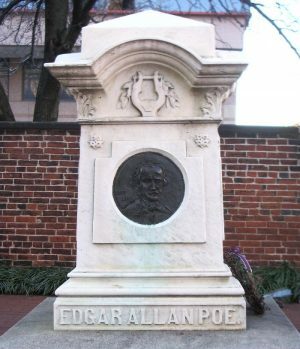 The site is frequented by Poe admirers, who often hold vigils at Poe’s tomb. 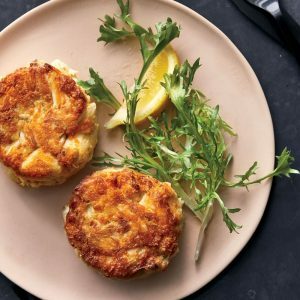 Baltimore’s signature food is, of course, crab cakes. You will have no trouble finding a place to dine on them. The best ones usually cost the most because they have less fillers. Travel Trivia Tease™: What can you do to celebrate the opening of the baseball season?